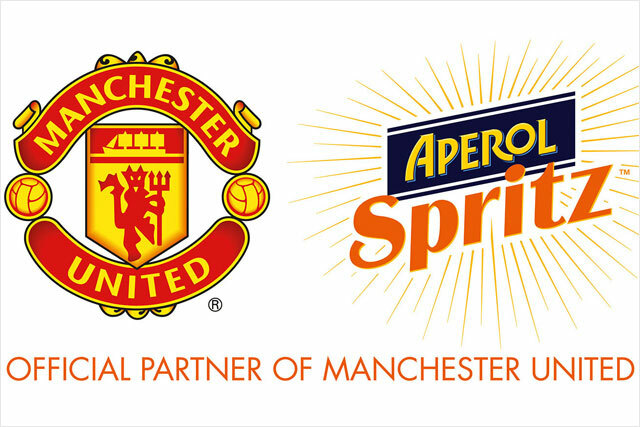 Manchester United has signed up fashionable Italian liqueur Aperol as its official global spirits partner. The deal, which runs from this month until the end of the 2016/2017 season, will see Aperol branding displayed on the Old Trafford digital advertising boards during Premier League, FA Cup and Capital One Cup home matches. Aperol’s signature drink Aperol Spritz, the liqueur mixed with Prosecco and soda, has become a popular summer drink in recent years. The Gruppo Campari brand will also be putting into place an activation programme in key global markets with above and below-the-line communication including on-trade, digital and PR activity, as well as launching the global Aperol Spritz Facebook page to support the sponsorship. Additional advertising will feature in match day programmes, in the Manchester United monthly magazine ‘Inside United’, on MUTV and the club’s website. Old Trafford hospitality areas will also serve Aperol Spritz. Bob Kunze-Concewitz, chief executive officer, Gruppo Campari, said: "This is a partnership that will deliver brand exposure on a massive scale, helping to provide Aperol, and its signature drink Aperol Spritz, with excellent levels of year-round brand exposure, consumer engagement and promotional opportunities in developed and new global markets." To mark the partnership, former Manchester United players Denis Irwin and Peter Schmeichel performed a cocktail masterclass in Manchester.